Czermak Photography - How To - Make Your Phone Photos Stand Out! How To - Make Your Phone Photos Stand Out! 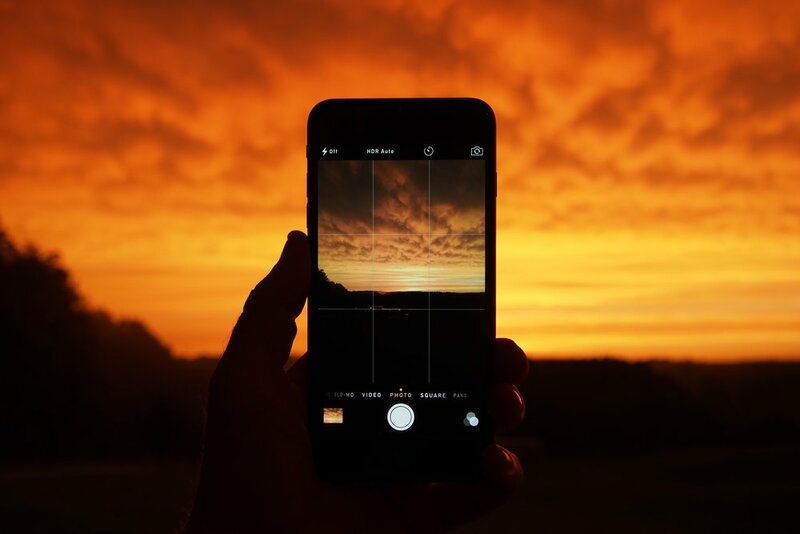 Ever tried taking a photo of an amazing sunset with your phone and it just never looks the same as the way you see it? I’m sure we all have! It’s because your phone’s camera has a low dynamic range. But that doesn’t mean a lot to most people. My way of understanding it is as follows. Your camera, under normal circumstances, tries to automatically expose the image you are taking for the highlights or the shadows, depending on where the focus is. You determine the focus by clicking on the screen. Try it out. When you try to take a photo of a sunset, click on the sky first. You’ll see that all the content in the sky comes into your photo. Now try clicking on your foreground, which will usually be black at this point. You’ll now notice that the camera exposes the image for the shadows, showing everything in the foreground. Unfortunately, as a side effect, the sky will now become really bright and blown out, with no colour. It's usually an issue when you try taking a photo of yourself or another with the sunset in the background. Not really what you want for your beautiful sunset photo! That's usually what the HDR, or High Dynamic Range, setting on your camera is for. When set to HDR, your camera takes multiple photos of the same content: some exposing for the highlights and some for the shadows. It then combines them to increase the amount of visible content in the image. What we can also try doing is some post-production editing. And don’t worry, there are plenty of free apps out there you can use for just that! Try having a crack at apps like Snapseed (by Google), Adobe's own Lightroom Mobile app, etc. Photography Trips: Are they really holidays?